MK Moti Yogev says Hezbollah's attack Wednesday was reminiscent of situation that led up to the Second Lebanon War. 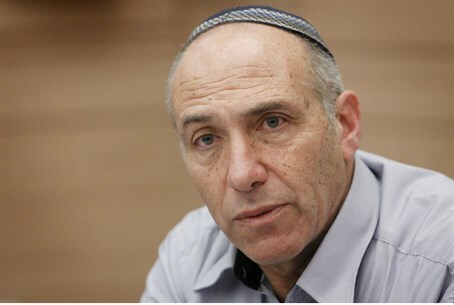 MK Moti Yogev (Jewish Home), also a retired IDF general, said Hezbollah's attack Wednesday was reminiscent of similar attacks that led up to the Second Lebanon War in 2006. It is possible, he said, the Lebanese terrorist group are planning a Third Lebanon War for Israel. Two IDF soldiers were killed Wednesday when Lebanese terror group Hezbollah fired antitank missiles at two IDF vehicles in the Har Dov area (Shebaa Farms). The two soldiers killed were identified as Major Yochai Kalengel and Sgt. Dor Nini. Six casualties in light to moderate condition were taken to Ziv Hospital in Tzfat. Additional casualties were evacuated to Rambam Hospital. The IDF vigorously denied Hezbollah claims that an IDF soldier had been kidnapped, and a Lebanese report later confirmed that Hezbollah had failed to capture an Israeli soldier. Later, Hezbollah later delivered a message through UNIFIL, the UN special patrol force in south Lebanon, saying that it was not seeking to increase tensions with Israel at this time. As far as the terror group is concerned, the message said, Wednesday's actions would satisfy Hezbollah's demands for revenge against Israel for last week's IDF attack on a convoy on the Syrian side of the Golan border. In the attack, Israel eliminated Jihad Mughniyeh, said to be Hezbollah's “commander of the Golan Heights area,” along with a crew of Hezbollah terrorists, and Iranian general Abu Ali Tabtabai. Yogev said that the heightened tension in the north was solely Hezbollah's fault, and that Hezbollah would have increased its attacks even if the IDF did not eliminate Mughniyeh and Tabtabai.